Charles Darwin, is a well-known British naturalist who challenged the very idea of creationism by proposing the theory of evolution, which is debated by creationists till date. This is a short biography of his by Hourly History. Charles Darwin was born at the time when the Industrial Revolution was reaching its peak. He initially studied medicine but very quickly dropped out and started learning taxidermy and about animals which is where his fascination for nature began. The book then goes on to describe his voyages around South America in his ship Beagle and his observations thereon in his book On the Origin of Species and The Voyage of the Beagle. The book covered a good amount of Darwin’s work and also his personal life. It focused on both, Darwin’s Theory of Evolution and the Theory of Natural Selection and the subsequent discussions and debates between various naturalists then. However, Darwin was different to Galileo in the sense that despite opposing a popularly held belief of a religious body, he was well recognised by his country and was well respected in his field. This fact was brought out well wherein, many do have the notion that Darwin too might have had a difficult time considering his theory but that certainly wasn’t the case. 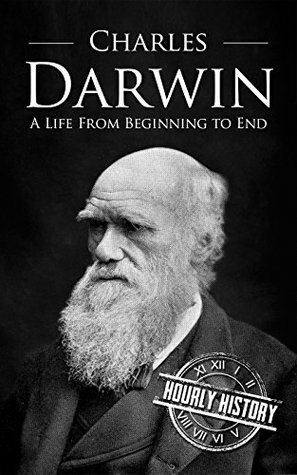 This is a good book giving an insight into both Darwin the person and also his works and if a person needs a quick reference, this could be a good refresher. On that note, I would award the book an eight on ten.